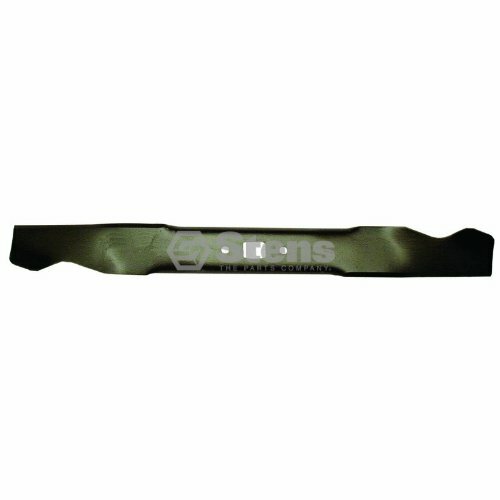 Replaces: Bolens: 742-0616,742-0616A,942-0616,OEM-742-0616,942-0616A. Craftsman: 942-04312,942-0616A. 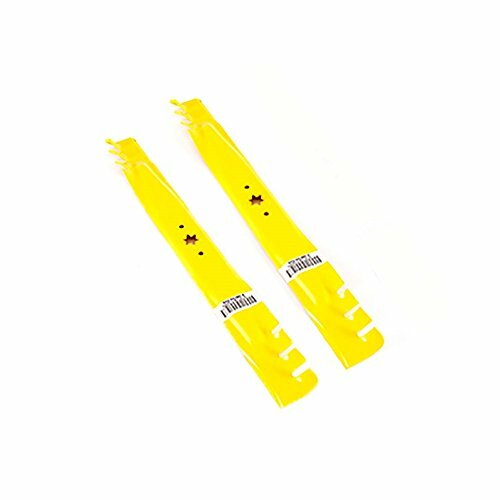 Cub Cadet: 490-110-C109,490-110-M115,742-04308,742-04087,742-0616A,742-0656,7420616,942-04087,742-04360,942-04308,942-04308-X,942-04312,742-04312,742-0616,942-04360-0684,942-04410,942-04410-0684,942-0616,942-0616-X,942-0616A,942-0656,GW-7420616,OCC-742-04312,OCC-742-0616,490-110-C122,OEM-742-0616,490-110-M108,742-04410,942-04360,OEM-742-04308,942-04312-X,942-04126-X. MTD: 490-110-M115,742-04308,490-110-M108,742-0616A,742-0656,742-4360,7420616,942-04308,942-04087,942-04312,942-04312-X,942-04360-0684,942-04410,942-04410-0684,942-0616,942-0616-X,942-0616A,942-0656,742-04410,GW-7420616,OEM-742-04308,OEM-742-0616,942-04308-X,942-4360,742-04312,742-04087. 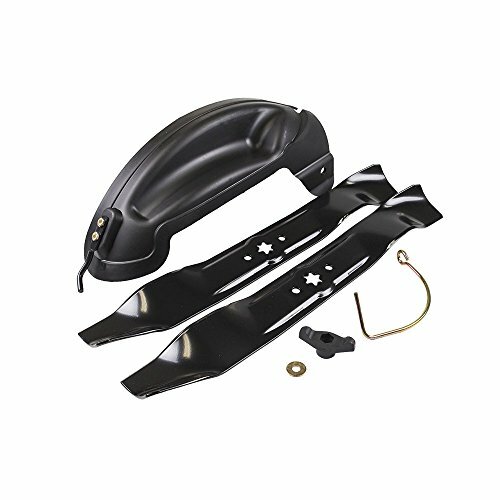 Troy-Bilt: 490-110-M108,490-110-M115,742-04087,742-04308,742-04410,742-0616A,742-0656,742-4360,7420616,942-04087,942-04308,942-04308-X,942-04312,742-04312,942-04410,942-04410-0684,942-0616,942-0616-X,942-0616A,942-0656,942-4360,GW-7420616,OEM-742-04308,OEM-742-0616,942-04360-0684,942-04312-X. 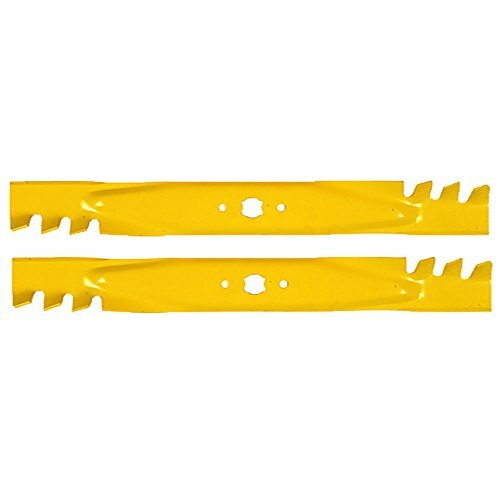 Set of 2, Longer Life Gator Fusion G5 3-In-1 Mulching Blades to Replace MTD Blades 742-0616, 942-0616, 742-04126 942-04312 Used on some 42" Decks, MTD, Cub Cadet, White, Wards, Yard Man, Troy Bilt. 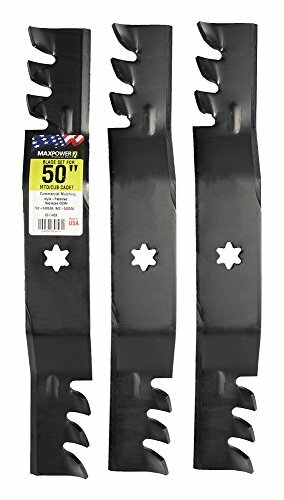 Quality Oregon 3 in 1 mulcher blade to replace the 74204053A, 74204053B, 74204056 or 74204123 blade used on many cub cadet models, MTD ZTR decks. 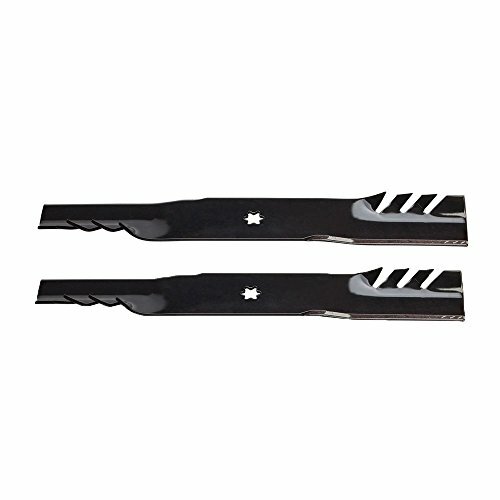 Eliminates the need to bag in most cutting conditions, delivers excellent bagging performance when you need to bag, mows faster at higher speeds than the traditional mulching blade, has extended cutting area for improved cutting efficiency. 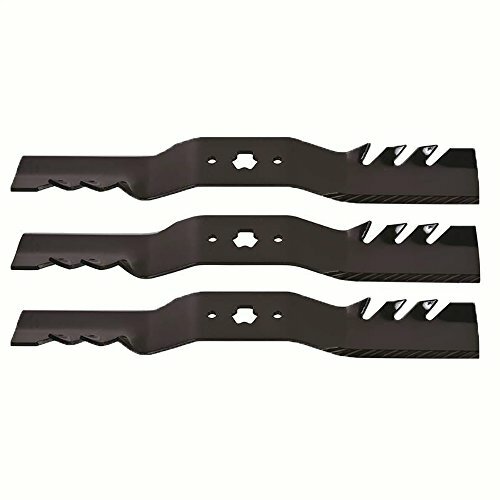 Set of 3, Heavy Duty Commercial Mulching Blade To Replace Cub Cadet/MTD 742-04053A, 942-04053A, 742-04053, 042-04053. For 50" Cut RZT series Tractors.